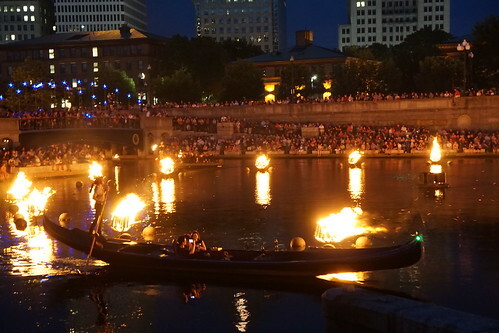 WaterFire has become one of the top attractions in Providence, Rhode Island in the summer. 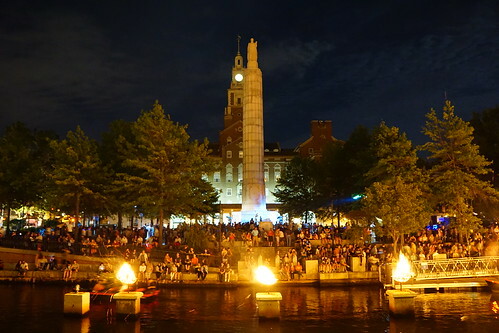 WaterFire is a sculpture/art installation by Barnaby Evans on the three rivers in downtown Providence, creating a line of bonfires on the water. Over the years, the installation has been expanded to 100 braziers, and there are multiple lighting events throughout the summer, taking place at sunset (mainly on the weekends). 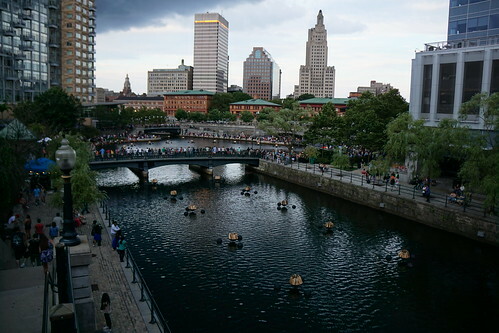 Most of the lighting activities take place in the basin at Waterplace Park, surrounded by the Providence Place mall and the visitor center. During the lighting, boats with firewood receives fire from a mime, and the braziers are lit one by one as fire acrobats perform on the boats and music is piped all long the river. You can take in the installation on the water with a boat ride or gondola rides, which seem quite a romantic date. The gondola ride starts booking up weeks before, so I suggest looking into getting an advance reservation as soon as you can. On the other end of the line of bonfires is another installation called Starry, Starry Night. 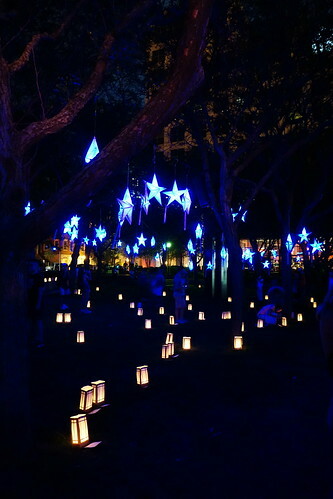 Under the stars and all along the river, you can make a donation and place a dedication under a Luminaria candle lanterns, and (also for a donation) place a wish under one of the blue stars. 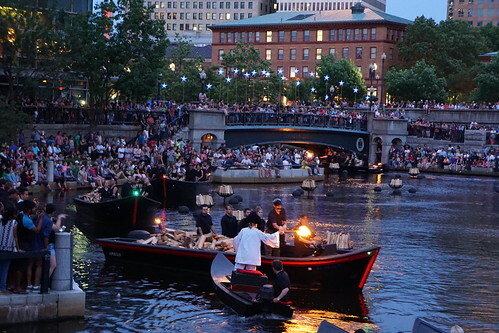 The full lighting events draw a large crowd, and there are food vendors, tents selling wine and beer, and art vendors keeping WaterFire-goers busy through the night. 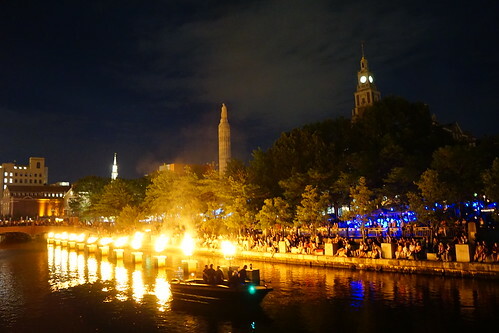 I have to be honest, walking along the river with bonfires going means the fumes can get pretty strong at times, but I still think WaterFire full lighting is something worth experiencing! If you live near Providence, Rhode Island, consider making a day or weekend trip to check it out. The next full lighting will be on July 22 (and a basin lighting on July 20) - you can check out the full 2017 schedule here.